Can you tell we’re excited for Archie Meets Batman ’66? That should be a resounding “Yes,” old chums. Now, it’s the artists’ turn. 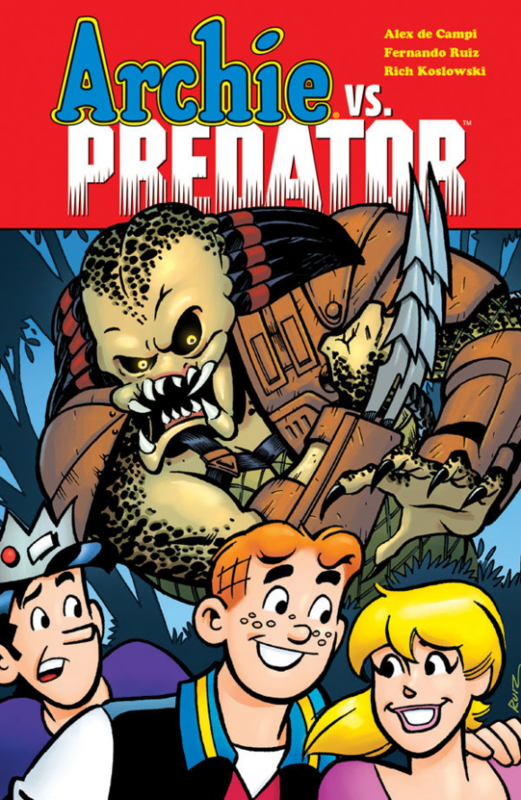 Penciller Dan Parent is a modern master of the classic Archie style. Inker J. Bone, a frequent collaborator, has a bright and inviting style all his own. Together, they’re the perfect team to tackle this groovy project. Dan Greenfield: You’ve been working on Archie for a long time but now there’s a whole other world for you to explore. How is it working with the world of Batman ’66? Dan Parent: This is like a dream come true! To combine my beloved world of Archie with a show I’ve loved since I was a kid is the ultimate experience! Greenfield: Tell us your background with the show. Any favorite episodes? Parent: Well, I can say that Batman was the first show I responded to as a kid. My mom has said as a 2-year-old when the show came on, I would sing along to the opening credits and was entranced for the next half hour. I love the Egghead episodes with Vincent Price, I think, because Egghead wasn’t in the comics, plus I love Vincent Price. And the first Batgirl episodes are great. 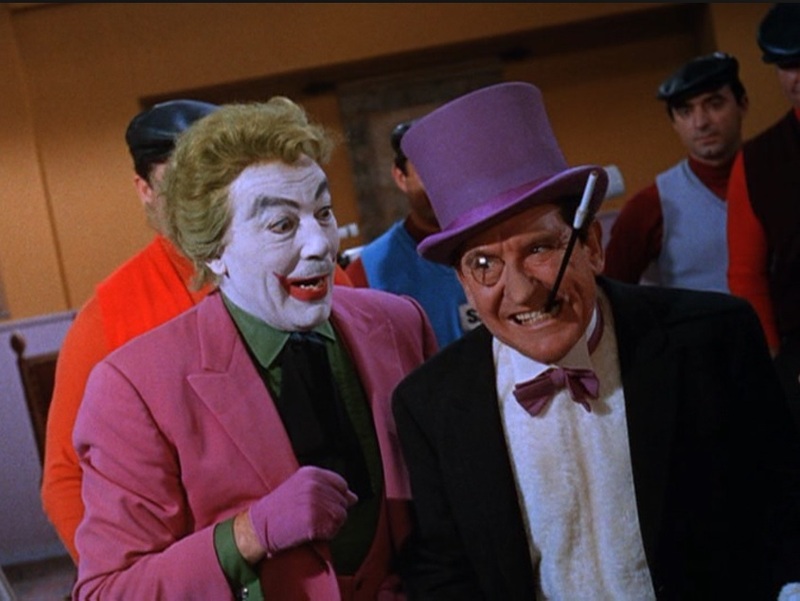 I think The Zodiac Crimes episodes might be my favorite, since you can’t beat a team-up between the Joker AND the Penguin! Greenfield: You’ve worked on a number of Archie crossovers. Where does this one rank with you? Parent: I have a feeling this will be my favorite! Greenfield: Artistically speaking, are there any particular itches you really want to scratch with this? Parent: I really want to create something memorable! 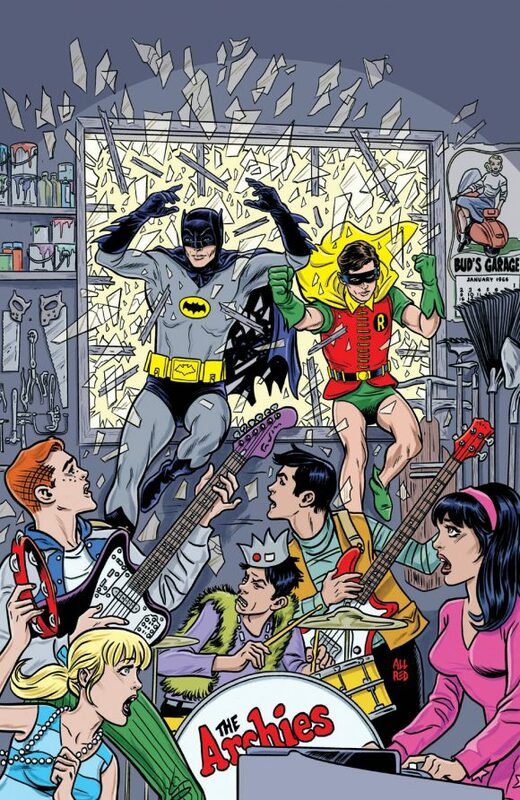 I want the Archie fans to be happy, as well as the Batman ’66 fans. I’ve been drawing Batman a lot at conventions for fans, so you could say I’ve been practicing! But I’m hoping to spread my wings here and show that I can merge the two worlds and make it look good! Dan Greenfield: You’ve worked on Archie and Batman but I believe this is your first time working on Batman ’66, which actually kind of surprises me. Nevertheless, this gives you this whole other world to get into. How’s that been so far? J. Bone: It’s been a lot of fun. I always enjoy working with Dan and we’re having a great time with the Archie gang in the world of Batman ’66. I guess it’s surprising I haven’t done anything for Batman ’66 until now. I’m sure every pin-up guy would love to draw a Julie Newmar Catwoman story, myself included. Greenfield: Archie works really well as crossover material and there have been a ton of them now. Where does this one rank for you — and what are some of your other faves? J. Bone: Just for the very weirdness of it, I love Archie vs. Predator. I’m a movie monster lover and crossing over with a monster franchise will always get my attention. The death of Dilton is both tragic and hilarious (my favourite kind of monster movie moments). I used to watch Batman (in reruns) after school every day. There would be two, sometimes three, episodes in a row so I’d rarely miss out on cliffhanger episodes. It’s been years since I’ve watched any so I don’t remember any one episode in particular. 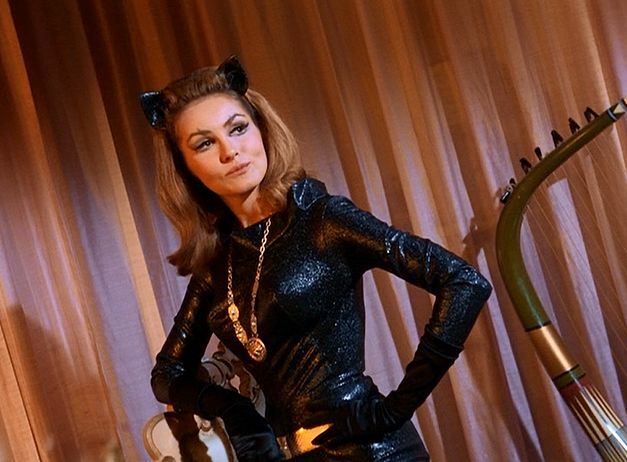 I did have a preference for any with Batgirl and I loved Eartha Kitt as Catwoman because of her purr. Also any with giant props. That’s just something I’ve always loved as a kid — giant versions of everyday objects. J. Bone: I’m looking for some nice pin-up style pages. Working to really do some fun images of the cast — specifically Catwoman, Batgirl, Betty and Veronica. And, y’know, if Moose shows up in a football uniform I’ll make sure the beefcake is well represented. Greenfield: Tell us one thing that will get fans really excited about this. J. Bone: Moose in a football uniform? But for real, Dan and I have worked together quite a few times now and I think we’re really hitting our stride. This is my first time working on a book written by Jeff Parker, which I’m excited about. I hope that excitement translates to the page and that the fans dig the story. 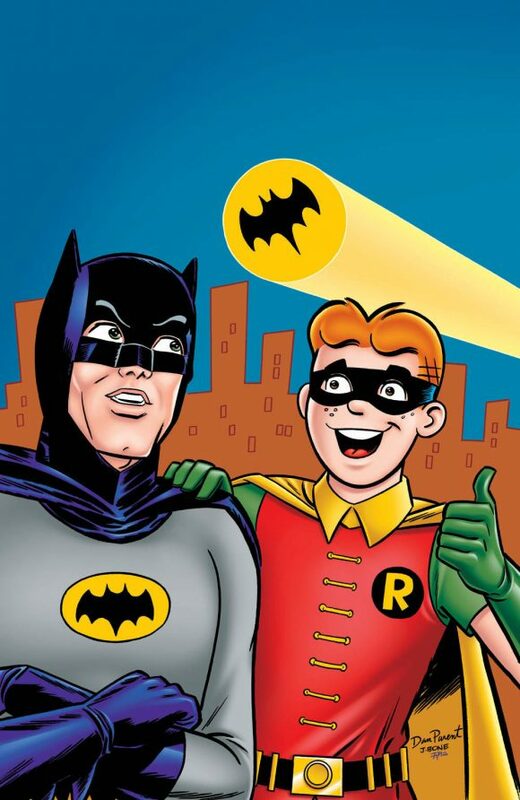 — EXCLUSIVE: Writers Tease What’s Coming in ARCHIE MEETS BATMAN ’66. Click here.